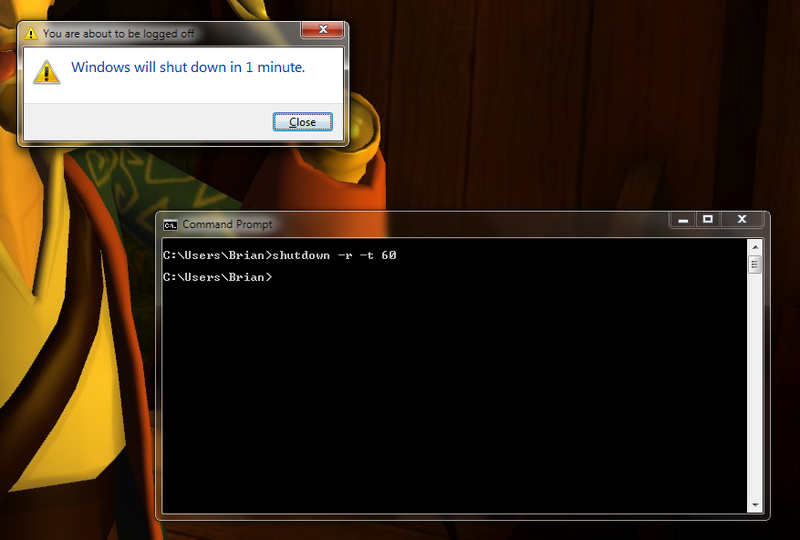 For whatever reason, I like to reboot my PC with the shutdown command. 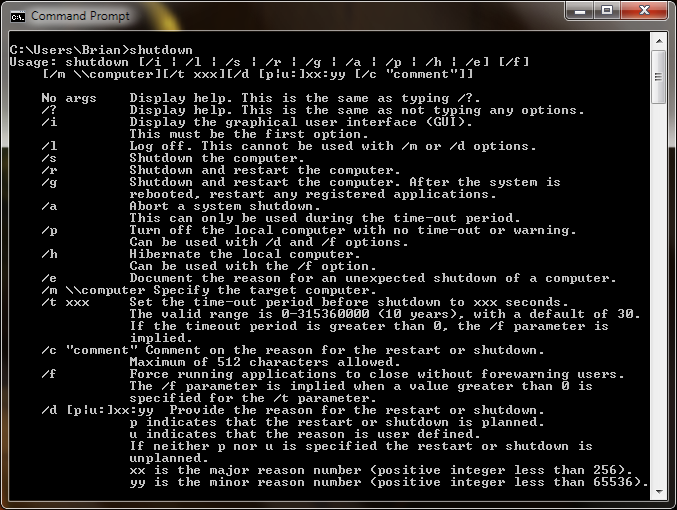 Out of curiosity, I checked out the arguments in the help by running the shutdown command with no arguments. 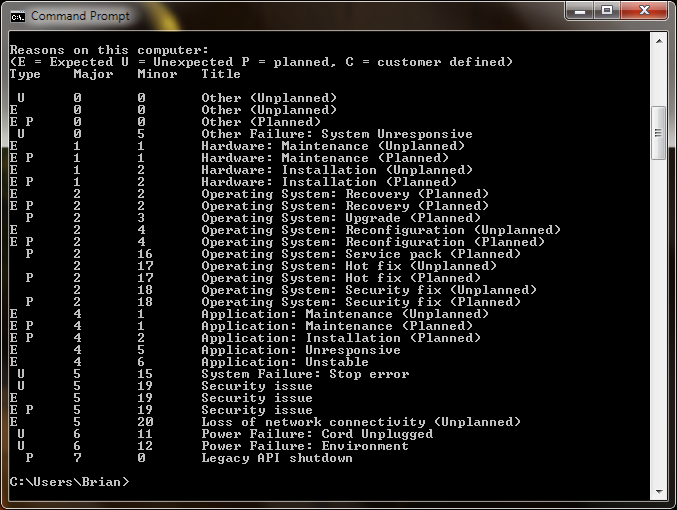 Apparently this also shows me a list of frequencies and reasons for system shutdown. 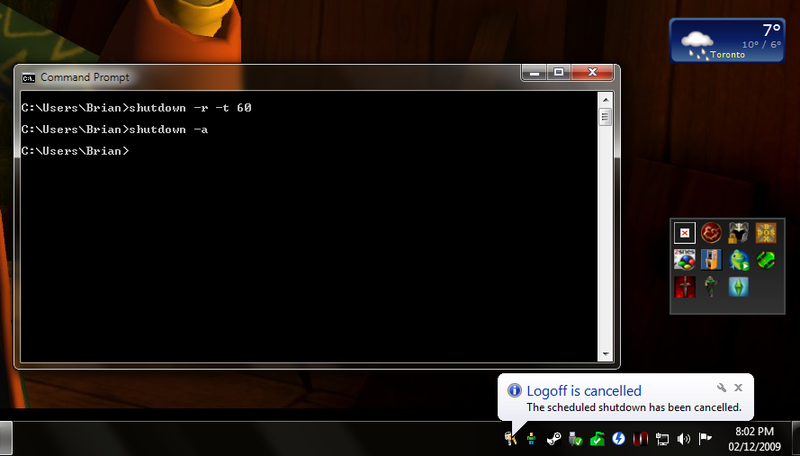 Pretty neat. … but decided to scrub, so I picked up the red phone and got the nod from the commander-in-chief. 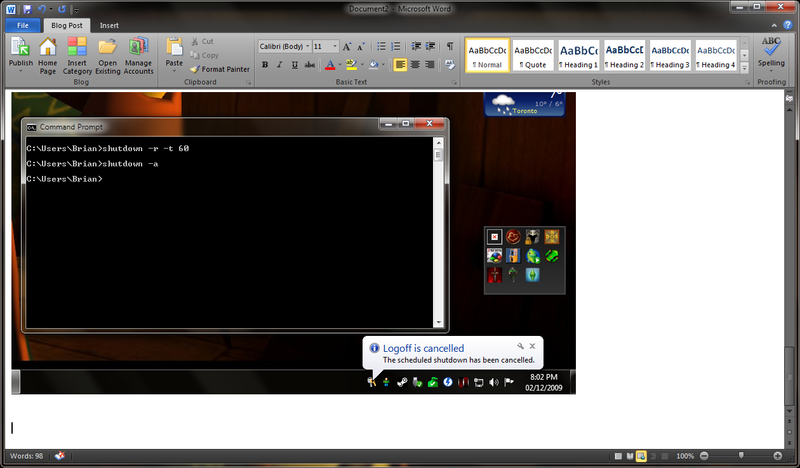 For no particular reason I decided to write this post using Word 2010 Beta. Go get it – it’s pretty awesome (for everything but blogging). 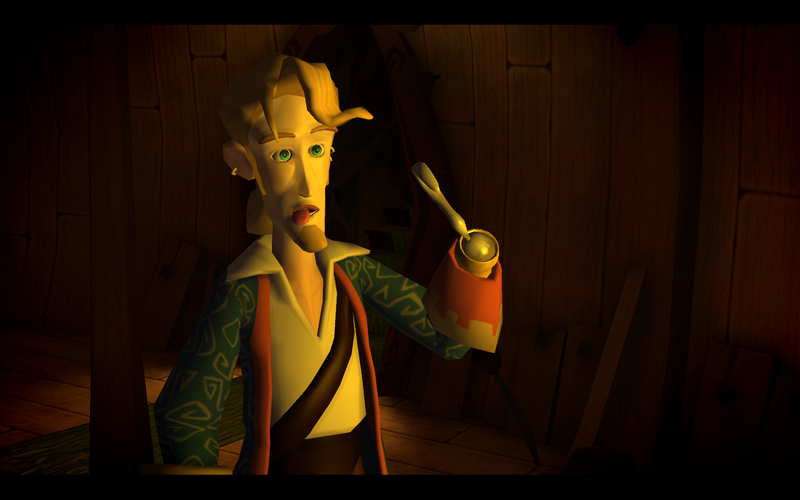 And in case you’re wondering, here’s my wallpaper.� It’s Guybrush Threepwood, Mighty Pirate™.